Mr. Planemaker’s Flying Machine is a story of flight, fantasy, adventure and courage. Although Emmelisa Planemaker is a strong-willed little girl, she misses her dad, who died when she was only five years old. Emmelisa and her brother Dell have a happy and carefree life until their father becomes ill and is forced to retire at the age of forty-three. After retirement, Mr. Planemaker decides to build a scaled, model airplane because he wants to build something lasting for his children but he dies before completing the task. 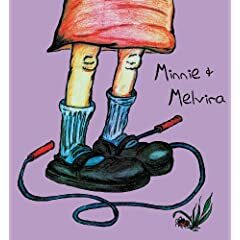 Minnie and Melvira is a story about finding true friendship. Each of us has the wonderful opportunity to make friends, but our friendships can have the power to affect who we are. By joining in the lives, actions, and habits of others, we become like them. So we must choose our friends as carefully as we choose what we want to be ourselves. Here Minnie learns that finding a good friend can be hard, but that she can always start by friending those that show kindness to her, and to others. For Josh, a seventeen-year-old paraglider, the past year has been a time of change and adjustment. After his parents’ divorce, Josh struggles with his new relationships with his stepfamily and is torn by his loyalty to both parents. 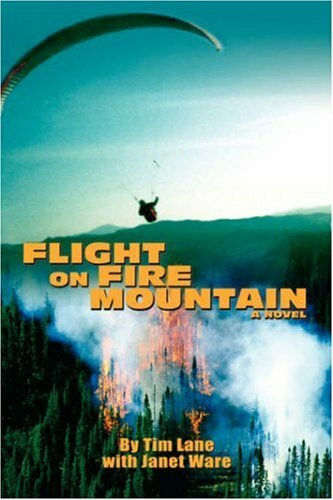 On his way to deliver a paraglider for his father, Josh is caught in a raging forest fire as it blasts through the San Bernardino Mountains. He seeks refuge in a cabin, but the flames soon consume it. As a last resort, Josh is forced to take flight in high winds in a glider that was made for someone his father’s size. His frantic flight against time and the elements becomes even more complicated when he encounters a terrified eight-year-old camper, Theresa Rodriguez, who has been separated from her family and is trapped on a mountain trail. The outside world below holds little interest to Littluns. It’s not that they don’t know about such things and what goes on out there; they know very well about the chaos and discord and the importance of remaining removed from such things. However, once every year or two, around the third and sixth full Moons, the Littleton Town Council selects five of its citizens to journey down Powder Mountain into the outside world. It’s a scavenger hunt. The Littluns: Braybe, Miskey, Letsen, Brandywine, and Sneetz go down the mountain together on what should be a cautious, but pleasant outing. However, there was no way that they could have known about the evil permeating throughout the land. Disguised as The Necromancer, The Evil One had placed most of his dark powers into words; words reserved for his wicked purposes. By doing so, it provided him with the benefits of both worlds while carrying out his plans to deceive and corrupt its inhabitants. But, ‘The Evil One’s’ ominous Dark Book becomes lost, resulting in him becoming trapped somewhere between the living and the dead. To fulfill his plan, he must have his book back at all costs. This faith-based story of innocence, takes you into a magical, fantasy world of imagination. 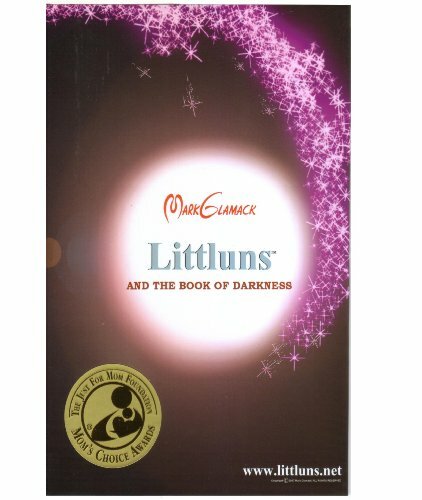 Littluns is a story for all ages, depicting everyone’s journey through life facing choices for the Light or darkness. Beginning with a simple scavenger hunt, the reader is taken on a fast roller coaster ride into the unknown. Young Adult and grownup readers of all ages will find ‘somewhere between reality and eternity’ an interesting place to discover; especially on the eve of destruction and extermination in a world gone wrong. Whirly, Twirly Topsy Turvy Day – New children’s book explores the frenzied pace of modern day society. Six teenagers from the Bronx set out to explore a cave in their neighborhood. The cave exploration is a washout but after falling down a ledge the six find that they have time-travelled three centuries into the future. Fortunately, they are accepted by the tribe living there. However, the tribe is fighting another tribe from Manhattan. These teenagers have a unique advantage in this conflict. They know the land. For the six, this becomes a true adventure. Yet, all too soon their adventure becomes very real. Friends and enemies are getting killed! This was no longer fun. This was war!